Coke Zero is a diet soda that contains no sugar or calories, but is advertised to taste more similar to regular Coca-Cola than Diet Coke. While this makes it a popular choice for individuals trying to watch their weight or avoid sugar, some of the ingredients in the product may pose health risks to some individuals. Consult a doctor if you are concerned about the way Coke Zero may affect your health. While Coke Zero does not contain any calories, fat, carbohydrates, cholesterol or sugars, it also provides no nutritional benefits. The drink does not contain any protein, fiber, vitamin C, vitamin A, calcium or iron. This is particularly a concern for young people, who may substitute Coke Zero for beverages such as milk, which would provide them with much-needed calcium, vitamin D and protein. Although research is conflicting, it is possible that drinking diet soda may cause you to gain weight. Sweet-tasting soft drinks, such as Coke Zero, may stimulate your appetite for other sweet foods or throw off your body's ability to accurately estimate the number of calories you consume, speculates Harvard's School of Public Health website. More research is needed to accurately determine how drinking diet soda may affect weight. In the meantime, you should carefully monitor your own weight and appetite if you decide to consume Coke Zero on a regular basis. Talk to your doctor if you notice any changes or have any specific concerns about this issue. The caffeine in Coke Zero may also pose certain health risks. Although the amount of caffeine in this soda is relatively small when compared with a cup of coffee, some individuals may be sensitive to the effects of caffeine and experience unpleasant side effects from it. These include pregnant women and individuals with certain medical conditions that cause the body to metabolize caffeine more slowly than usual. These individuals should use caution and monitor their overall caffeine intake to avoid consuming too much. Caffeine may cause unpleasant side effects, such as restlessness, irritability and difficulty sleeping, especially when consumed in excess. Drinking Coke Zero in moderation is not likely to pose any potential health risks for healthy adults, but you should still think twice before consuming too much. Opt for healthier beverage options when possible. Milk or juice can provide your body with the nutrients Coke Zero lacks, yet still quench your thirst at the same time. Drinking nutrient-rich beverages such as these may also cause you to feel fuller, which may cause you to consume fewer calories through food or other beverages. Plain or sparkling water is also a good choice. 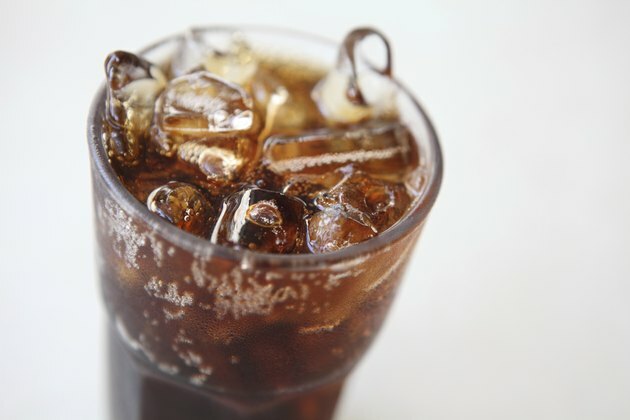 MayoClinic.com: Diet Soda--Is It Bad for You?